This book review was published by Slashdot, 2011-06-02 . It was featured on the Slashdot home page for more than seven months. The book is now in its sixth edition, under the ISBN 978-0596805524, and was published on 10 May 2011 by O'Reilly Media (who kindly provided me with a review copy). 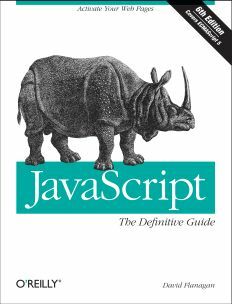 At 1100 pages, it certainly feels heavier than its advertised 2.6 pounds — but that may only be a side effect of the thought of wading through over a thousand pages of technical explanations and example code. Yet one could argue that the size is justified, considering the amount of information the book conveys, and its obvious aim to be a comprehensive treatment of the language. The material is organized into four parts, including 22 chapters. On the publisher's Web page, visitors will find a brief description, the complete table of contents, a few consumer reviews, reported errata (seven as of this writing, and none confirmed), the example code used in the book, some free content (the first chapter), and links to purchase the print and e-book versions. On the other hand, there are far more pluses than minuses. One of the real strengths of the book is how the author does not hesitate to use (sometimes lengthy) blocks of code, with explanatory comments for almost every line, to clarify the language — as opposed to paragraphs of text, which could have easily doubled the length of the first two parts (which comprise roughly the first two thirds of the book). Also, in conjunction with the narrative and code fragments, the author makes effective use of figures whenever needed — particularly in Chapter 21, in demonstrating how to work with graphics and multimedia content. Copyright © 2011 Michael J. Ross. All rights reserved. Your [new] client site looks great. Congrats!